Do you have a GloBug prepay power system? Do you (or does someone you know) have a GloBug prepay power system? Mercury is probably keen to improve the public profile of the GloBug system which has been the subject of quite a lot of coverage in the mainstream media, much of which is not complimentary. 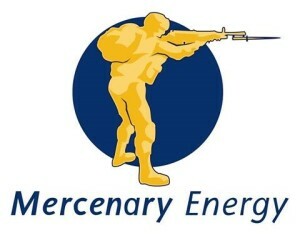 What Mercury Energy keeps very quiet is that the GloBug system relies on smart metering technology. (See; http://www.epaynz.co.nz/product-range/prepaid-electricity) This technology, which allows remote disconnection when people’s prepaid credit gets too low, has transformed low income households (which were previously considered a financial liability by the company) into a “cash cow”. “It [the GloBug prepay power system] has also turned some accounts, traditionally regarded by the industry as the worst customers, into some of Mighty River’s most-valued customers. So, while Mercury Energy is being paid in advance for supplying electricity, the GloBug system relies on microwave radiation producing “smart” metering technology that may put its customer’s health at risk. And many of its customers will not even realise that opting for (or being forced to accept) a GloBug system means increased exposure to potentially carcinogenic microwave radiation. The traditional analogue (Ferraris) meters installed in NZ when electricity was considered an essential public service (and was supplied by local authorities,rather than greedy corporations) do not produce any microwave radiation. Analogue (Ferraris meters) are still on the NZ market but many electricity retailers are trying to force their customers to accept smart meters. NB: While Mercury Energy pioneered the use of GloBug in NZ, the company is not alone in using the GloBug system for prepay electricity; Meridian is also reportedly using this system. A friend created a new logo for Mercury Energy to reflect the company’s reported bullying of its customers to try to get them to accept “smart” metering technology. NB: If you are concerned about the financial, health or other risks of smart meters, please sign up to the free email list at www.stopsmartmeters.org.nz Thank you.